We had electric drills, glue, sand paper, paint brushes, paint, our table was full of materials and our minds were a blur of mixed mediums and techniques. Time has passed since I’ve put my hand script writing to the test, but those long time skills came back in a brush stroke. We used a cut out wooden craft letter for the W, and the key purchased for a small amount of money from a garden centre. 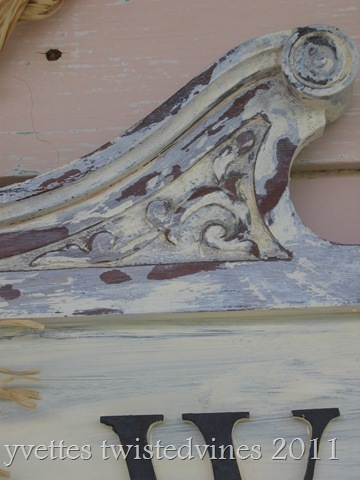 The wood was water coloured painted and treated with a crackle paint technique, a medium used often to give a rustic, antique look. Take a look at the great ideas at The DIY Show Off. A wonderful creative space where you can share your crafty skills and makeovers. What better way to spend time, learning and sharing our creative hands and hearts. Yvette, what a wonderful project!! I think it came out stupendously…and a family effort, I love it!! Your script writing is fantastic. 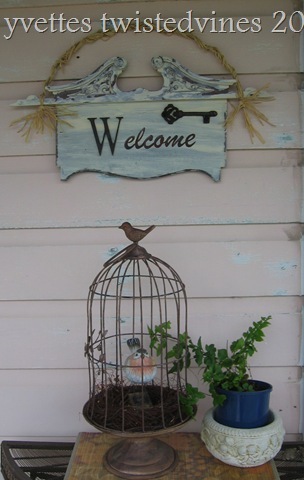 I like the key on the welcome sign, it says so much. Great finds and a happy time by all – that’s what I call memorable. What a beautiful welcome sign Yvette – it sounds like you all had loads of fun making it. 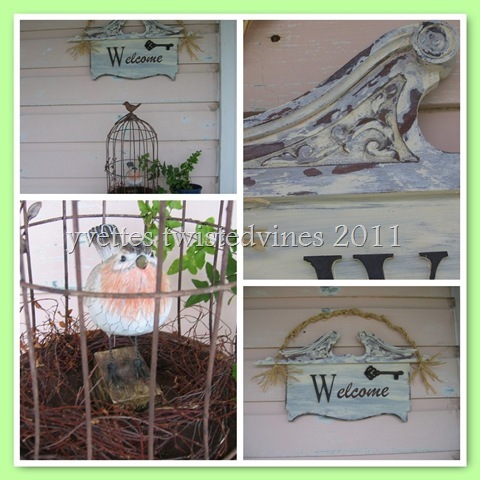 I love the idea of seeing a welcome sign when arriving at some ones home.